Do you feel drained and tired? You may be leaving your energy scattered throughout time and space. Many people leave their energy at work or with their friends and family. You may give your energy away to people you wish to help only to feel depleted yourself. Telepathic conversations also sends your energy away from you and out to others. 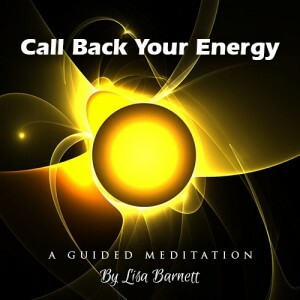 When you use this guided meditation you will be reclaiming your vital energy. You are calling back to you the energy that's unconsciously scattered about.